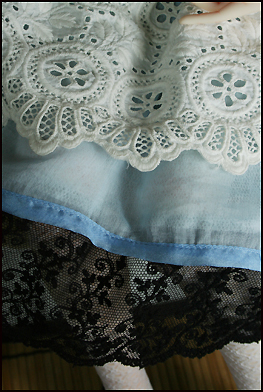 Her dress is a very light weight silk/cotton blend with a lace and netting underskirt. 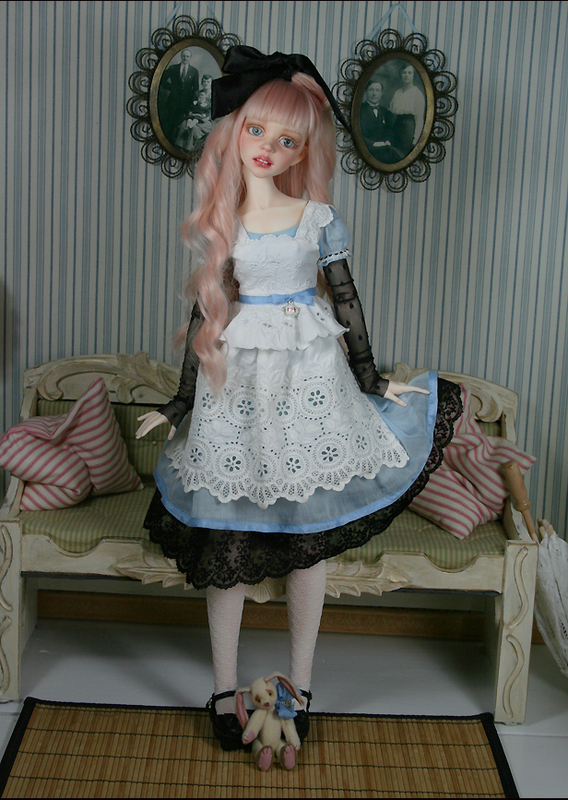 It has puffed sleeves and laces up in the back.Her pinafore is made vintage islet and lace. 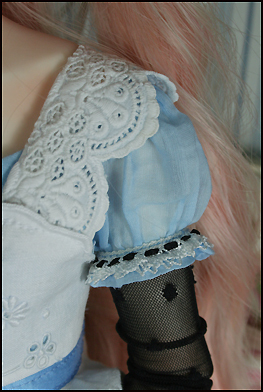 Her stockings are stretch nylon as are her gloves. 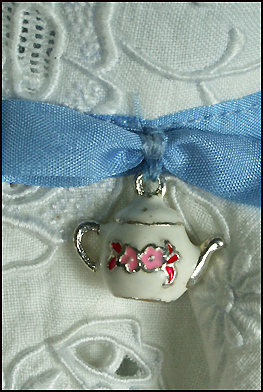 In her hair she wears a satin bow. 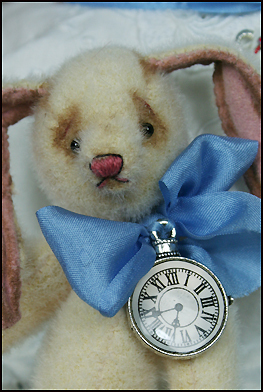 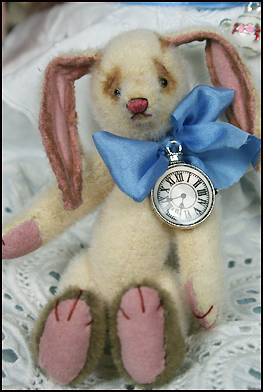 I made the plush bunny and it is included. 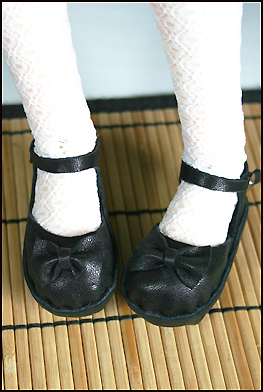 Her shoes have leather tops and polymer clay heels and were made by KZShoes. 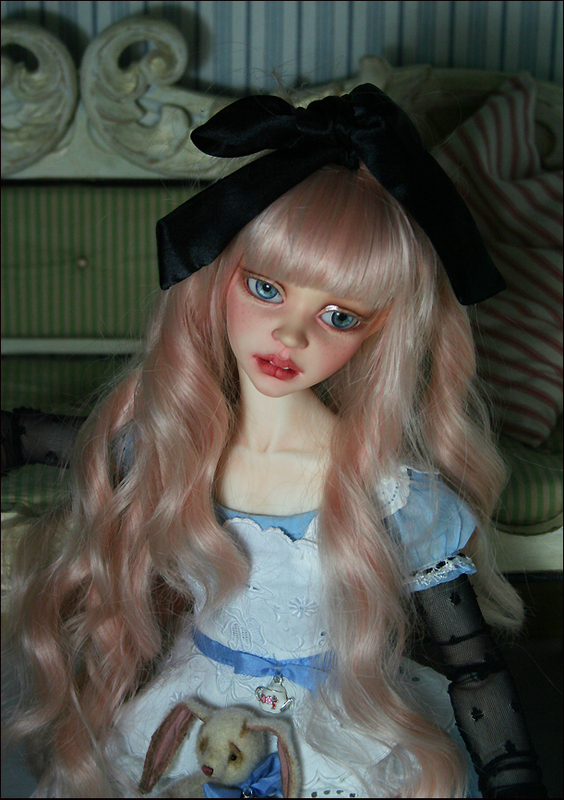 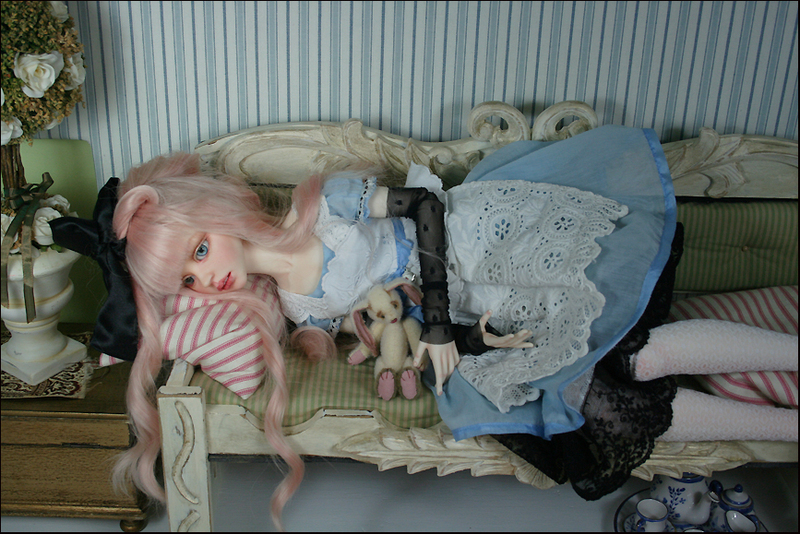 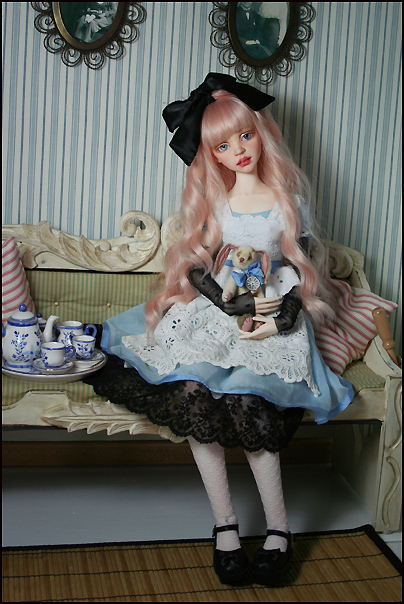 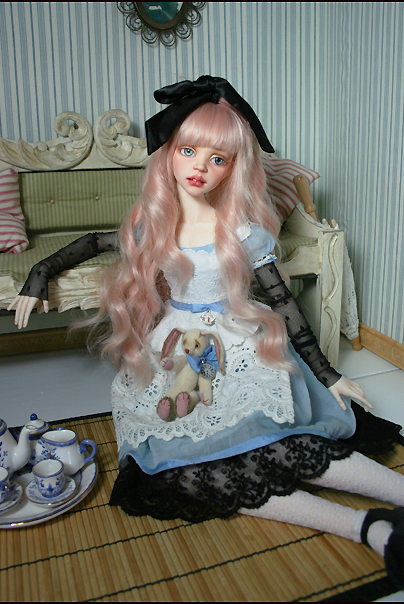 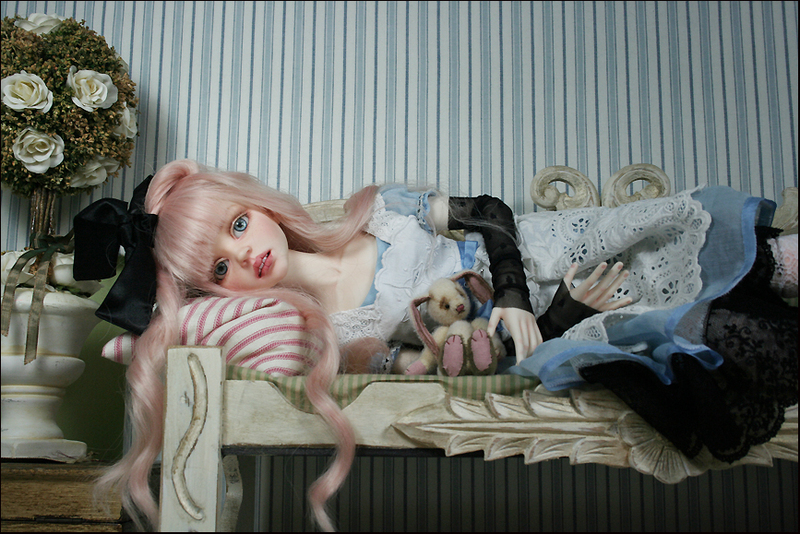 Her wig is from "For My Doll" and her eyes are Eyeco- platinum series.